The story in 2013: Infected Wars is a twisted tale involving political upheaval, espionage, biological weapons, and a killer virus that quickly spread across the Earth. The infected roam the land freely, forcing the remaining humans to band together in small societies for survival. Mercenaries explore the dangerous ruins of civilization in search of food and supplies, which is where you come in with your shiny little iOS device. Playing as one of four characters, you'll equip yourself with everything from pistols to sniper rifles to heavy munitions as you try to survive in the new world. Graphically, 2013: Infected Wars is no slouch. The game supports Retina displays with color grading, environmental reflections, dynamic character shadows, simulated ragdoll physics and a large scale particle system. The environments are large and open, allowing complete freedom of movement across eight unique maps. Character progression via RPG-style upgrades will also be available, but the team has yet to detail precisely how that will work. 2013: Infected Wars doesn't have a firm release date, though the team has submitted the game to Apple, which means the almighty nod of approval could come anytime. It will require an iPhone 4 or newer, iPad 2 or newer, or an iPod Touch 4th generation or newer device running iOS 6, which should include the vast majority of players out there. 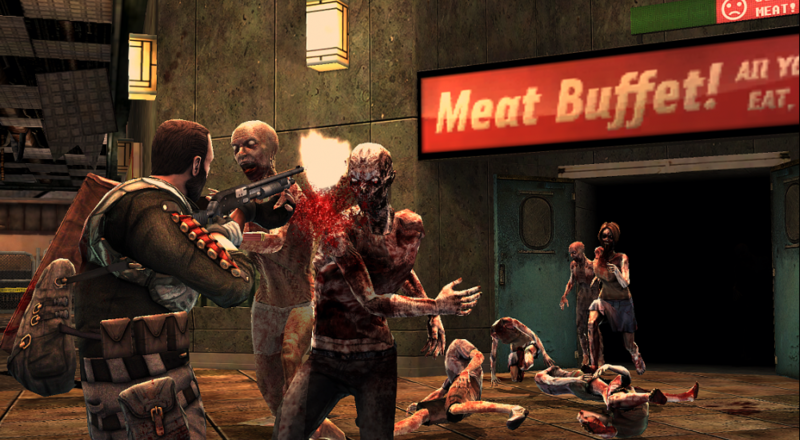 Co-op play is handled online, so here's hoping for some always-available zombie shooting via mobile device! Page created in 1.4081 seconds.